Ever seen those really clean and perfect geometric manicures that look almost impossible to recreate? After reading this entry from the wonderful girls behind The Beauty Department blog, I just couldn't believe why I hadn't heard or thought of this earlier. An absolutely brilliant idea. Click here to read! 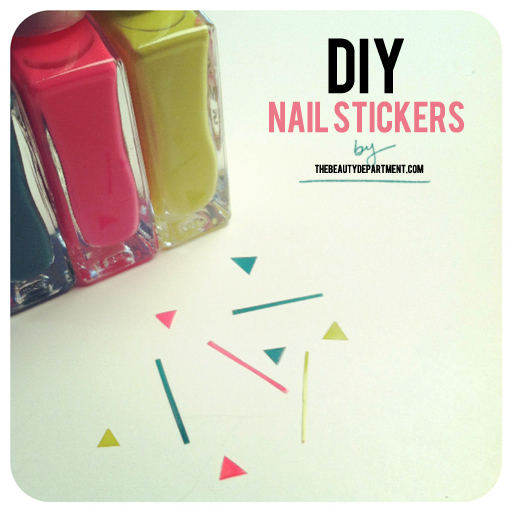 Seeing that you're a nail art lover, I think you would really enjoy the Julep Maven Program. Have you heard of it? For every 2 friends, you receive a free julep subscription. I've been with the program for about 6 months, so if you want to learn more about, check out my blog!